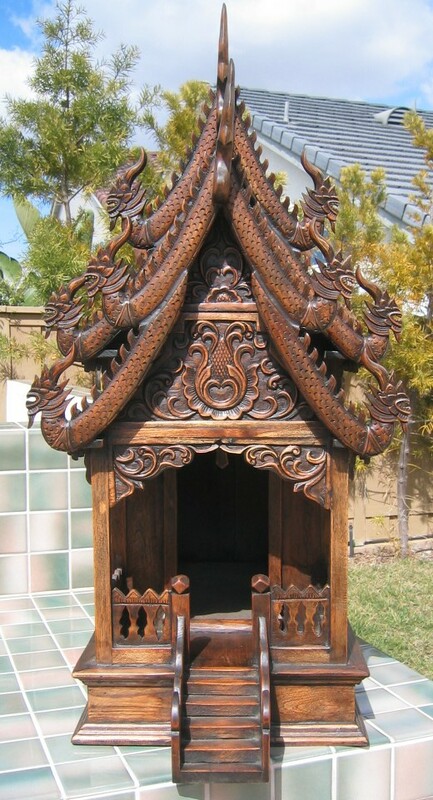 Hand carved Large Thai Spirit House. 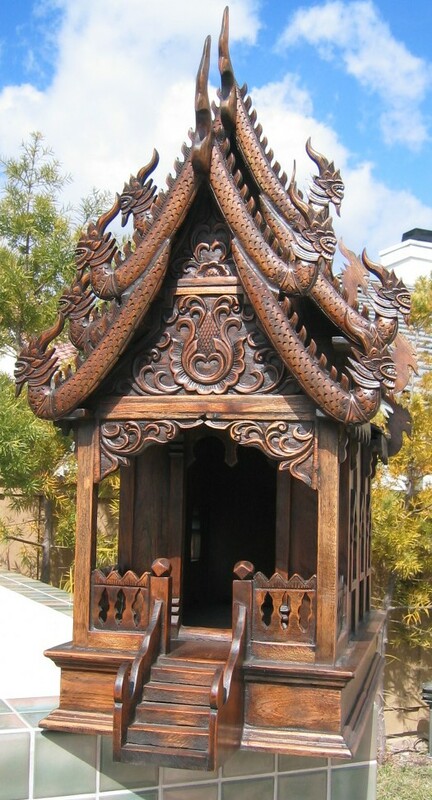 Intricately carved in Thailand from teak wood with traditional layer roof and adjustable horns. 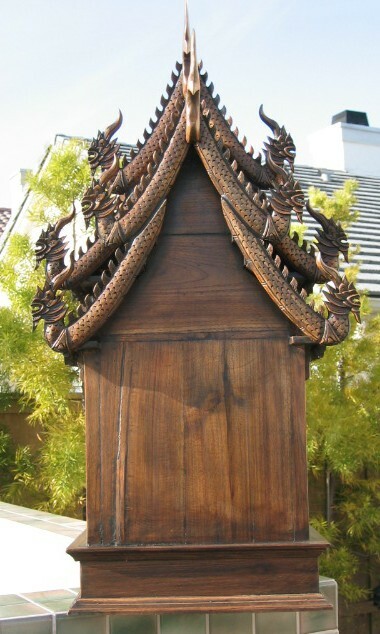 Measures 32" long, 35" high, 18" wide from horn to horn.